Pardon me if my enthusiasm for what I am announcing today spills over. Every day is a giant occasion to me, just watching a new sunrise still leaves me in wonder of God’s power. Today is even more special because my beloved friend, mentor, adviser and confidante, Lena Sanchez of the famous “Antibiotic Alternatives” website and newsletter has agreed to join forces with us to complement our team. This is truly a GIANT event! Lena is an angel and a well of healing wisdom whom thousands of thankful souls have benefited from over the past 20 years. She has been dispensing her wisdom, along with our supporting formulas, from the very first day I started my mission. A couple months ago, she said, “Joining with you just makes good damn sense!” and would benefit all her people and as well as ours so much more. Well, we couldn’t have agreed with her more! She brings incredible instinctive knowledge along with a phenomenal insight into medicine and healing that is just not duplicable. It means that you can start getting this wisdom every week, right here, with her extraordinary “HEALING NUGGETS” newsletters – totally free as another benefit of being one of our customers and subscribers. “Antibiotic Alternatives” is exactly what Lena delivers and more. I don’t think there is anyone in the Natural Medicine world who knows her “stuff” like she does. To kick off this incredible association, we want to share Lena’s own healing story and invite you to get to know her, in her own words. So sit down, brew a big cup of Green Tea, add some Emperor’s Chi, open your mind and welcome Lena Sanchez to your world. Hi! My name is Lena Sanchez. If you’ve got ten minutes, I’ve got a story to tell you and it’s all about my lifelong search for health and peace, first for myself and then to everyone I can reach out to with my message. Doctors and drugs will kill you and keep away both health and peace at all times. From the moment I was born, it seems I’ve had one medical crisis after another and have been trying to stay alive. I got married at 21 and in the first 4 years, I had four premature babies and one miscarriage. The medication the doctors gave me made everything worse. I came down with severe Meinere’s Disease and the vertigo seemed present every single day. For weeks at a time I couldn’t move my head without spinning out of control. Never a night went by when just turning over in bed didn’t trigger vertigo and vomiting. Then, I was diagnosed with uterine cancer and had a hysterectomy. I was just 29 years of age. Luckily, at that time, chemotherapy wasn’t an option or I would have gone through that, as well. In the middle of all this, my husband was nearly killed in a horrific accident that shattered both his wrists and arms. I was caring for our four children and nursing him back to health – a two year process – when God told me my calling was in nursing. Somehow, I put myself through college and got my nursing degree. The daily pain, raising four children and nursing my disabled husband, at times made me think I was going mad. I even went to a psychiatrist but he said I had no mental illness and told me the pain was real. To keep the family going and put bread on the table, I initially worked in hospitals and rehab clinics as a nurse, and later ran medical offices for several doctors. I was a receptionist, nurse, office manager and patient advocate. I learned to cope with the chronic pain, headaches and fatigue by constantly staying busy, sometimes working 18-20 hours/day. I finally was given a diagnosis for what was causing my pain: “fibroymositis”, which today is known as Fibromyalgia. The doctors were totally hopeless in treating it with drugs. The heavy sedatives did nothing but make me a zombie and all had undesirable side effects that at times, put me in the hospital. I found work as an office administrator at a sports medicine clinic which offered both alternative and traditional medicine. People at the clinic were getting healthier without prescription drugs and no side effects. I immediately began studying everything I could about natural medicine. I read a book a night, sometimes two, and studied under the nutritionist and chiropractor at the clinic, soaking up everything they said and did, while also teaching medical office assisting and management at night! My lifestyle was exhausting and the headaches and pain from fibromyalgia became unbearable at times. One of the doctors pushed me to get a cardio checkup one day and discovered I had a prolapsed mitrial valve (where one of the heart valves does not completely close when the heart pumps) as well as some damage from a Rheumatic Fever illness. Apparently I’d had this for years. I also had 75% blockage in my major arteries leading from the heart. It was a wonder I could walk to the clinic, they said! Instead, I’d been reading about a thing called “Chelation Therapy” in one of the books and guess what – it cleaned up my clogged arteries and the Mitral valve problem went away. No drugs! No surgery! All of this confirmed my deep down distrust of “western medicine” and pharmaceutical drugs – and at the same time reaffirmed my trust in God’s pharmacy of herbs, vitamins and minerals. So I put all my growing experience in natural medicine and healing along with my skills in administration of businesses and started my own healing center. This was way before the internet came along. I had several of my articles published in natural healing journals and the word just spread. When people rang me up, I used my personal experience to advise them on what to do and what to take. Having been so very ill for so long and discovering just a few capsules and liquid minerals can turn your life around, really resonated with people. It’s helped me get rid of my fibromyalgia, arthritic nodes in my fingers and the vertigo. I look for special products, formulas with “high healing” capacity. Which is how I found Wayne Garland and his Master Formulas. Wayne and I have become wonderful friends over the years. 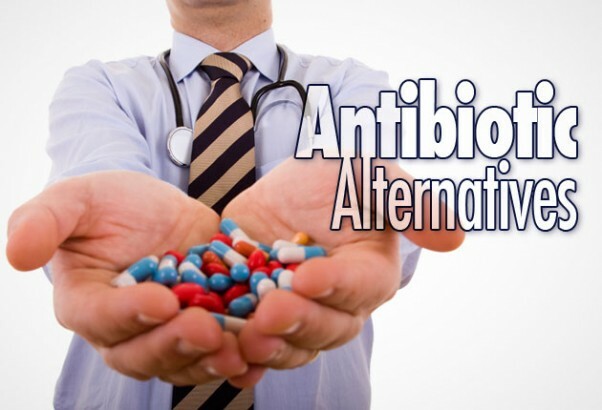 I recommend his formulas to all my customers and patients at the Antibiotic Alternatives Clinic and he helps me with advice when I can’t solve a patient’s problem. It’s a fabulous partnership. And through Wayne, I finally found the answer to my Meniere’s Vertigo. Through all the years, barely a night went by that I wasn’t awakened with the world going ‘round and severe nausea by simply rolling over in my sleep. He recommended I try the Mind Power formula – and the Meniere’s completely went away – I couldn’t believe it! To confirm the formula was truly making a difference, I skipped a few of days and the nausea and vertigo came right back. I spent 2 days in bed recovering from that “experiment” and haven’t missed a day since. What is so great is it only takes me four capsules a day! In 2002, at the age of 68, my doctor wanted me to have a bone density MRI because he was sure I had osteoporosis (I figured I would humor him and do it)) because of my age, small stature, lactose intolerance, total hysterectomy, two bouts with cancer and chronic fibromyalgia for more than thirty years. I could have told him that! I believe it is the minerals and the herbs that have given me these great bones and all the formulas and minerals together have built up my immune system and given me a new lease on life these last seventeen years! And forget flu shots! I have had no colds or the flu since I can’t remember when. The brain controls our entire body. It is our primary health maintenance organ and the seat of energy production. Without a healthy functioning brain, we are essentially useless. Today’s stressful lifestyles and information overload means many of us are plagued by short-term memory loss, foggy and confused thinking. Worse still is the epidemic of dementia and Alzheimer’s which renders people to a life of darkness, confusion and loss of identity. This extraordinary formula dramatically increases oxygen flow to the brain to allow it to “thinking clearly” while conducting high electrical thought patterns and increased volume of thinking. Unfortunately, our brain can experience a type of rusting called oxidative stress. This is the #1 reason for mitochondrial dysfunction, which depletes brain energy and therefore alters our bodies functional energy. Mind Power is like an “Einstein-pill” fueling the genius inside of you. Don’t wait! Order today and start giving your amazing brain all the lovin’ it needs! Your inquiry has been forwarded to our Customer Support team to contact you regarding our Clinic Without Walls Critical Health Support service. Congestive Heart Failure is a serious health condition, and can be improved without drugs or surgery if you are willing to dedicate yourself to the necessary lifestyle and dietary changes for success. yes i am willing too whatever you suggest.